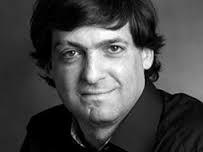 Today on the show is Dan Ariely. Ariely is a professor of psychology and behavioral economics at Duke. He is the bestselling author of “Predictably Irrational”, and he has given several TED Talks which have gotten millions of views. We start off by discussing irrationality and rationality, our poor decision making processes, and how this applies to investing. Later we talk about Dan’s own past, and the lessons he learned during his time recovering from severe burns. We also talk about how the 2008 bubble became a construction tool for him. I hope you enjoy this interview. [toggle Title=”View Full Transcript”]MICHAEL: Today on the show I have Dan Ariely. He is a professor of psychology and behavioral economics at Duke. He has some great talks on TED; millions of people have watched his talks. His book, a bestseller, was called Predictably Irrational. I love the way Dan thinks. Enjoy this conversation. So Dan, I’ve got to ask you out of the gate, you’ve got to have way too much fun in this career of yours. DAN: I am having lots of fun. MICHAEL: Seriously, this is not fair. You get to observe the world and say, “Well gosh, everyone looks at it this way, but are they really thinking rationally, or irrationally?” Quite fun. I’m jealous. DAN: Well, you’re welcome to join us. MICHAEL: Let me ask, let me jump right in. My world is somewhat in this Wall Street world, this trading world, and I know a lot of your work has crossover appeal, so to speak. So here we are, right now, equity markets all-time highs, in the Federal Reserve we all trust. It looks pretty rational to me, even five years removed from the great crisis – and I want you to talk about that, too, the lessons, how that helped make behavioral economics more to the forefront – but here we are right now at all-time highs. Everything looks pretty rational. Just trust the system. What could go wrong? DAN: Yeah, we’ve been in this situation before, no? MICHAEL: Well, yes, this is true. But how do you look at it right now, from your perspective, your lens? DAN: There’s a couple of questions of where the value of the S&P 500 or whatever index you want to choose, where is it coming from? The moment you believe that it’s rooted in deep asset values, then you can have a rational story for it. But we know that nobody really calculates the value of companies based on their P&L and based on their assets and so on. Or you could say there are a ton of cases in which lots of people are wrong. And not only that, there’s a ton of places in which people think short-term and not long-term. And then there’s another issue, which is constraints. If you think about all the money in the markets and you say “Where else could this money go?”, and if it has nowhere else to go, then what could the markets do but appreciate? But not because the fundamentals are better, not because the outlook is better, not because it’s a long-term discounted value for the future, but just because of current constraints. I think if you look at those four explanations – people value stocks seriously, everybody else is really smart, then you say everybody could be not so smart and just following the herd, and money has nowhere to go – for me, the last two explanations are much more appealing, and I think there’s much more truth to the problems with the markets. Now, of course, if the markets are high, you might want to participate in the joy of the markets increasing, but it doesn’t mean that fundamentally, it’s rational. MICHAEL: Dan, when you look at this – I guess this spring/summer, when they made the announcements – so here you are, you’re in this world where the word “rational” and “irrational” has become so much a part of your daily life, and then I see the Nobel Prize Committee hand out the Nobel Prizes to two very smart men, but on very different sides of the spectrum. It just seems to add to the irrational aspect. I don’t know how you viewed that, the awarding of prizes to Professor Shiller and Fama, and very different outlooks on the world. DAN: Yeah, I think it was really a hoot to see them both coming. Fama, of course, is one of the big believers in the rational market and that the markets are rational and perfect and ideal and so on, and Shiller for a long time has basically – he was one of the early predictors of the financial crisis in terms of housing markets, and he talks about bubbles and he talks about the fact that markets cannot necessarily get people to behave better, and that people are short-term thinking and so on. I don’t know if the Nobel Committee was known for its sense of humor or they thought that was a joke, but this was not the forefront. I think they really wanted to give it to Shiller, if I had to speculate. I think if they had to strengthen – I don’t know what the Nobel Prize is for, but if it’s looking forward and saying “Which part of economics do we want to strengthen, and which part of the prizes do we feel embarrassed that we’ve given before?” – giving prizes in the past for derivatives and so on – I think they really should’ve given it to Shiller, but it was probably too difficult for them to undermine economics to such a degree. At the end of the day, the people who are giving the Nobel Prize in economics are connected to economics, so they probably don’t want to spit in the well they’re drinking from too much. But I think that this is a time to really question economics in a deep sense, and I don’t think we’ve done enough of that. DAN: Most of my work is in microeconomics. I look at individual behavior. Macroeconomics, of course, is much more complex, because macroeconomics depends on so many other things. And the truth is, we understand macroeconomics very little. But think about something like bubbles. Bubbles are one of the most predictable phenomena we have. You could take 20 people, you put them in a room and you sell them some asset – it could be a stock, it could be a fictitious asset, whatever it is – and observing bubbles is the first thing that you see. It’s really incredibly easy. And it’s hard to know from within a bubble whether you’re in a bubble or not. You can only know at the end of the day. Look, if you look at macro theories, these are nice theories, but at the end of the day, we have very little evidence for them. If somebody asked me to build a bridge based on a theory that is at the quality of macroeconomics, I would be incredibly worried. And we’re building, of course, much more than bridges. If somebody asked me to go into surgery based on a theory that was as sound as the theories we have on the relationship between what the Fed is doing and what the real economy is doing, I would be incredibly worried. So we have this general explanation that might capture some of the variance and some of the essence, but they’re so imprecise that I think we should be incredibly leery of them. This is a little bit the question of how do you want to bet. You know what’s called Pascal’s Wager for the existence of God? Basically, the idea is that if you feel God doesn’t exist, don’t worry about it. But if you think there’s 0.0001%, a tiny percent that God exists, you might as well behave as if you believe, because the penalty, multiplied by infinity, if you go to heaven or hell, is so big that it’s worth it. I think the economy is a little bit like that, that we are taking these bets, and the payoffs are very, very non-symmetrical. If Bernanke is right, we’re going to do okay, but if he is wrong, we’re going to really, really pay for it for a very, very long time. You saw the amount of financial devastation we had by these mistakes. I think it way outweighs the benefit that we got from taking this risk. So I think we need to understand how economics is important for the way we function. We need to study it to a much higher degree. We need to understand it, and we need to have something like an FDA procedure for approving which economic theories we’re going to let dictate our lives. In the same way that before, you put a medication up and say “Yes, let’s give people this medication or this hip” or whatever it is, I think the same thing should be held for theories, and before we let them rule our lives, we should make sure that they pass some threshold of proof that they’re actually useful for us. MICHAEL: Go back to the fall of ’08. Why, from your perspective, your world, your work in behavioral economics, why did 2008 become such an instructive tool for you? But we’re finding that this is not the case. We’re finding that lots of people can bend reality to a small degree, look at things from their perspective, and be biased in their worldview. Interestingly, this is something that every sports fan knows very well. Every sports fan knows that if a referee calls a call against your team, you feel the referee is vicious, blind, stupid, something. You can’t help but see the game from your subjective, desirable point of view. And the same thing happens in other places. If I gave you a ton of money to see mortgage-backed securities, of course you would see them. And I’m not saying you would lie; you would just see them as better than they are. There’s lots of other things that make it even more likely. You don’t see the victims, everybody else is doing it, and so on. I think this is important because the conflicts of interest in Wall Street are just tremendous – I’m sure you know it as well as everybody in the field – and we haven’t really done anything to fix that. The second thing is that I think it was a very different crisis than the .com boom, for example, and bust. The reason is in the .com, you could tell yourself that “I should’ve seen it.” You could tell yourself, “Yes, you know what? It was overvalued and over-hyped, and I shouldn’t have got into it.” I think 2008 feels much more like a conspiracy to people. It feels much more as daytime robbery, and because of that, it created tremendous loss of trust. This is tremendously sad, because if you look from 2008 to now, the markets have done – we had this tremendous variance. But what happened is that lots of people, as things were getting down, lost their trust in the market and got out, and a lot of those people are people that needed that money for retirement. They said “I can’t risk it anymore,” they got out of the market, and actually we’ve not enjoyed any of the increases. So it’s been a tremendously sad sequence that eroded the trust between people and banking in a very sad way, and I think it’s really terrible that none of the fixes have really aimed at rebuilding trust. I think that until we rebuild trust – and the markets could go on, but the individuals who really need these institutions are not going to get any value from them. DAN: It’s really terrible. And all the fines the government is giving to financial institutions I think are actually not helping, because they just seem like cover-up. “Okay, so these people are stealing lots of money and then they get to give some of it away.” The story about how much Goldman Sachs got back from its investment in AIG, I think is now going to go away for a long time. The level of misuse and abuse of trust and funds I think is going to hurt the American people for a long time. It’s not going to hurt the bankers, because again, there’s some money that has to go into the banking system, and they just take their share. Basically imagine that there’s some money in the world that has to go through banking, and every time it does, you get to get your 1% offer. It’s a really good business to be in if what you want to do is maximize your profit. MICHAEL: I think J.P. Morgan made money 63 out of 63 days in the first quarter. I want a part of that business. DAN: Yep. And the other sad part of it is that the government has made it more difficult to start new banks. I think that, at least for me, there’s a realization that banks are more important than I thought they were. I always realized that banks were important, but I think now I realize they’re even more important for the functioning of society. When lending slowed down and so on, the economy basically had such difficulty. But there’s no real competition between banks. I mean, think about it: if you had this model of the world, of supply/demand and competition, and you said companies should basically compete, and they compete so fiercely until the production cost and the revenues are almost equal. So you would basically say – this is the logic for competition – you say you increase competition, everybody’s competing for the consumer; the companies would have to reduce their price to be competitive, otherwise the consumer would switch. And eventually what will happen is companies will charge people their production costs and they will make almost no money. Company 1 is selling you a widget, Company 2, they compete and so on. In all the industries in the world, I think the industry that fits best this theoretical prediction is banking. It’s really easy to switch from one financial institution to another, they’re basically all selling the same thing, there are many of them, they are spending all their time competing. You would predict that their profitability would go down to zero, but that’s not really what we’re seeing. They make a ton of money, which of course gets us to question very, very deeply this model of competition, and is this really a free market? And I think it’s not. I’m not talking just about the interest rates fixing and so on and the collusion that is going on. That’s of course illegal. But even in the level of non-collusion, or non-explicit collusion, I think there’s all kinds of things that are just very, very rotten in this industry. MICHAEL: Building on your point, though, about the banks, if you look at another industry, let’s say like airlines – and I was on flights quite a bit this year – generally what we see over the decades is improvement in airline safety. We learn from our mistakes and things get better. And that doesn’t happen in the banking world, for whatever reason. We can look at those reasons really fast – power, money, politics. But banking doesn’t get better; it just seemingly gets more to the edge of the cliff after each crisis. DAN: Yeah, and I think there is a couple of good reasons for it and a couple of terrible reasons. The good reason is that it’s really hard to learn in banking. Think about an airline. In an airline, of course, if something catastrophic goes off, people get injured, people die, and the airline learns very quickly. It’s a singular event; you could put your finger on it and you can figure what it is. But also, things that slightly go wrongly, you can figure out what has gone bad and you can learn from it. In banking, it is not really clear how you learn. Like what lessons can you learn? If you believe that the world is rational and you believe that everybody else is doing the same thing, then it’s really tough to learn about mistakes, because you said, “Oh, this is just the rational thing to do. This is what should’ve happened. This is a reflection of all the knowledge in the world. Let’s keep on doing this.” The learning cycle is very, very tough. Think about it: under what conditions would you figure out that the investment strategy you had was wrong? And then the other thing is that – think about something simple, like going through a red light. Imagine that you think that going through a red light has a 1% chance that you will die and 99% chance that you will go safely, and one day you decide to take the risk. We know it’s a 1% event. You went through it and nothing bad happens. What do you think the next day? You say “Oh, it was a 1% chance and I luckily passed it”? Or do you say “Oh, it must mean that the risk is really half a percent,” and let’s do it again and again and again? So there’s a vicious cycle that when you don’t know the probabilities very well, you just estimate them, and they are low probabilities, the more you experience something, the more it gives you the wrong feedback, as if the probability is actually lower. So people could take tremendous risk, if you think about the London Whale or things like that, and not realize the risk that they are taking. And because we don’t really understand risk very well, basically they’re in a psychological notion that they’re actually taking a reasonable risk, when in fact they’re taking a tremendous and highly devastating risk, and once they get a huge failing, of course, it’s too late to learn from it. It’s like an accident that happens. So I think that if you think about the environment and you say what environment can people really learn from, and what environments are there that make it very, very tough to learn, I think the marketplace is a place where it’s really tough for people to learn. And because of that, by the way, I would regulate it to a much higher degree, in the same way that we don’t let people drive through red lights because we say people are going to take unreasonable risks and they’re not going to think about it correctly. I think the same thing applies to many activities in the stock market. MICHAEL: Dan, since you brought up red lights, I have to remark that I just spent seven months in Vietnam, and there’s not many lights in Vietnam, but it’s actually an amazing system of people where you would think they might not respect each other, but since there really isn’t a lot of traffic laws, so to speak, it works with this chaos. I don’t know if it would ever work in America, but it works there. It’s amazing. DAN: And of course, it’s a question of how fast the cars are and what else do they do and how they drive and so on. Nobody really wants to die, but do people naturally take too much risk? In the U.S., some states regulate that you can’t text and drive. You know what happens in those states? The amount of people dying and getting injured from texting and driving is increased. And the reason is that because once this legislation was passed, people started texting below the wheel rather than above the wheel, making it much, much more dangerous, and killing themselves in higher frequency. MICHAEL: Let me shift out. We’ve had this great macro conversation about banking, but I want to shift into some of your wheelhouse, because your world is far beyond just Wall Street, and behavioral economics, this is the everyday life study. There’s a quote that I saw from you, and I want to paraphrase a little bit; it says “the freedom to do whatever we want and change our minds at any point is the shortest path to bad decisions.” So this great American ideal of all this freedom and being able to do what you want and change your mind – but in actuality, it’s not that great for making good decisions, is it? This is, by the way, why financial education doesn’t really work. There was a recent meta-analysis on all the financial literacy programs ever being created, showing that they basically don’t work, that the best of them improve financial outcomes by 6%, which is very small, and it goes down over time, and it’s worse for the poor. The reason is that you can know something in principle, but acting on it every time is really, really tough. We are designing the world that we live in, and we can design the world for people to make better decisions, and we can design the world to make people make worse decisions, and I think often we design the world to tempt people at the moment and get much worse access. MICHAEL: Yeah, tempting at the moment. That feels like a very apt description of current day life. While we’re talking about current day life, why do people lie, Dan? DAN: Why do people lie? MICHAEL: Why do people lie? People actually lie because they give them something at the moment. At the moment, and they only do it under the condition that they can rationalize the lie. So when something is rationalize-able, where you could say “this is actually for the benefit of the group” or “everybody else is doing it,” the tendency to do so is much, much higher. There’s a contrast on the difference between downloading illegal music from the internet and going to a restaurant and escaping without paying. MICHAEL: If we take psychopaths out of the equation, we’re all right. DAN: Because we can rationalize, but the psychopaths are very, very different. But the non-psychopaths, we all lie and cheat to the extent that we can rationalize it and explain why this is actually okay, even when it’s not. MICHAEL: Hey listen, as we wrap up this morning, I want to ask you a couple different questions, and I think they’re interrelated. But I want to really know how you – obviously, to go in your path, very curious; you like to find out how things work, and you’ve probably been like that since a young man, I’m guessing. But I also know you had a fairly devastating injury as a young man as well, burns over a large portion of your body. I wish you could maybe explain how you came into this field of behavioral economics – and you’re one of the leaders in it – and then maybe also, as a dovetail into that, explain some of the lessons that you came through, maybe some of the “aha” moments that you had going through your recovery process. DAN: When I was a burn patient, there was lots of things that I saw that were done in what I thought were a wrong way, all the way from how they treated some patients to some treatments to how they used to remove bandages from burn patients. I saw this tremendous amount of misery, on my part and the part of other patients, and I had a desire to try and get some kind of basic understanding of how this should be done. It struck me as incredible that a lot of doctors were working on their intuition about what was right and what was wrong. But of course, they would never, in my situation, it wasn’t clear to me that they had the right intuition. When I started studying this systematically, when I went to college some years later, I learned that often they had the wrong intuition. I’ll give you an example from this week. We are now working on a project on how doctors communicate really bad news to patients. And you know what? They do it in a terrible, terrible way. They don’t understand what the patients understand and what the patients don’t understand, and they give them news in ways that are really not very helpful and uninformative. When you look at the physical world, it is truly amazing what we’ve built. We’ve built buildings and cars and technology. It’s unbelievable. But when it comes to the world of understanding human nature, that has to do with how do we create educational programs and how we teach people and how we create risk and how we understand savings and so on, we haven’t really progressed that much. And I hope that we will be able to learn much more about this and make the world a truly better place. MICHAEL: Hey, Dan, listen, I appreciate your time today. Where’s the best place that people can go and reach out and find out more about your work, maybe you – and I think there’s some online courses that anybody can take? Where can people go? DAN: My blog is DanAriely.com. The course will probably start again in March or February. It’s an online course, open to everybody, and there’s lots of other information on my blog. MICHAEL: Hey Dan, thanks. I could pick your mind all day. I know you don’t have all day, but I love your insights, and I appreciate your time today. DAN: Thank you. Looking forward to next time.